The thing that I do in working hours to pay for all things bicycle-related is interfering with my ability to write blogs…Boo. How dare my employer expect me to work, while at work 😉 I have to say how much I enjoyed the recent Paris-Nice 6 tour, particularly days 4, 5 and 6. 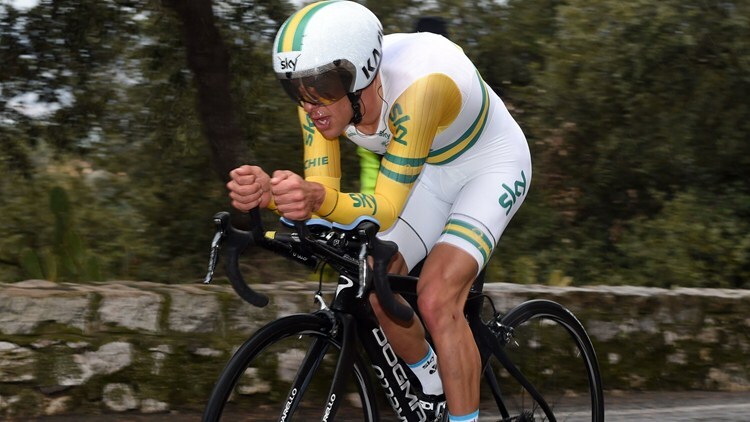 Not the least of which being that 3 of the 6 stages were won by Australians and the Jeune Malliot was won by Richie Porte. Porte managed his second overall title in three years in the Paris-Nice ‘Race to the Sun’. When he crashed on the descent off the Cote de Peille…I really though he was done for. That landing must have hurt. Hats off to Frenchman Tony Gallopin who showed some enterprise to win stage 5. Congratulations should also go to Michael Matthews who won Stage 3 and doubled up for a 3rd place in last night’s Milan-San Remo. I’m annoyed that I missed the Milan-San Remo Classic last night. I’ll have to read the news on SBS Bicycling Central to see how the race unfolded. Unfortunately my personal time is being consumed by moving house which meant that I forgot to timeshift the event…damn. I won’t make that mistake again. Speaking of riding I’m really enjoying the cool, sunny Autumn mornings. The last two Saturday mornings have been fantastic. I’ve been wheel sucking on local club pelotons and this has really helped my times and average speeds. This entry was posted in UCI Events and tagged Michael Matthews, Milan-San Remo, Paris-Nice, Richie Porte on March 23, 2015 by Marv.